Introducing Blaz’n 1. 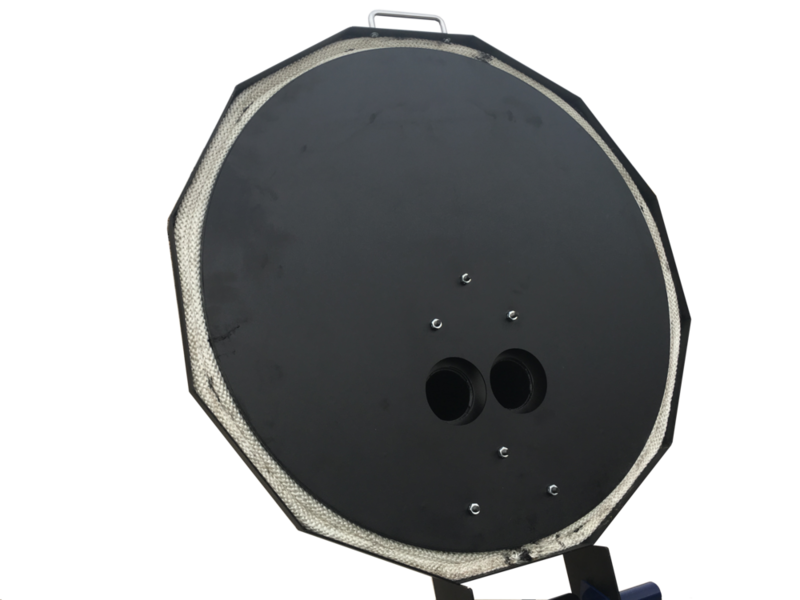 Giving you that simple backyard barrel concept but with 2018 style and efficiency. And just like the whole Blaz’n Grill Works lineup, this is made right here in the USA. 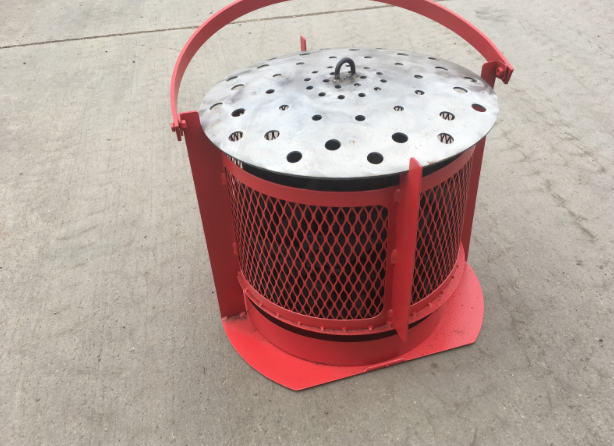 The Blaz’n 1 offers a powder-coated body in heavy gauge steel and available in 4 standard colors: Red, Blue, Black, and Gray. Equipped with large wheels and handlebar, Blaz’n 1 can easily roll through grass or rough terrain and withstand nearly anything with it’s durable 12-sided design. 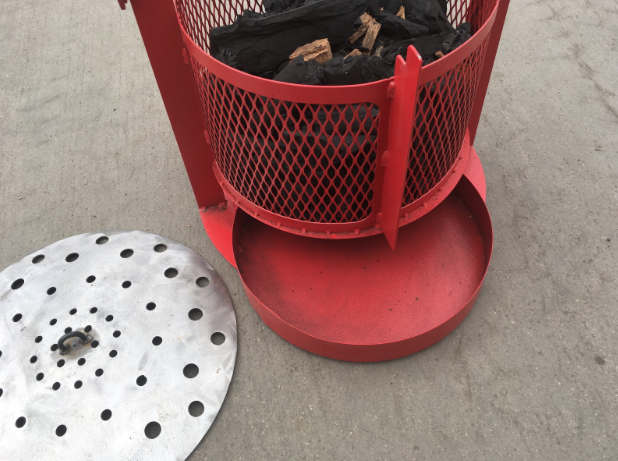 Adjustable intake and exhaust outlet and a brass plug in the bottom for cleanout, this smoker has it all. 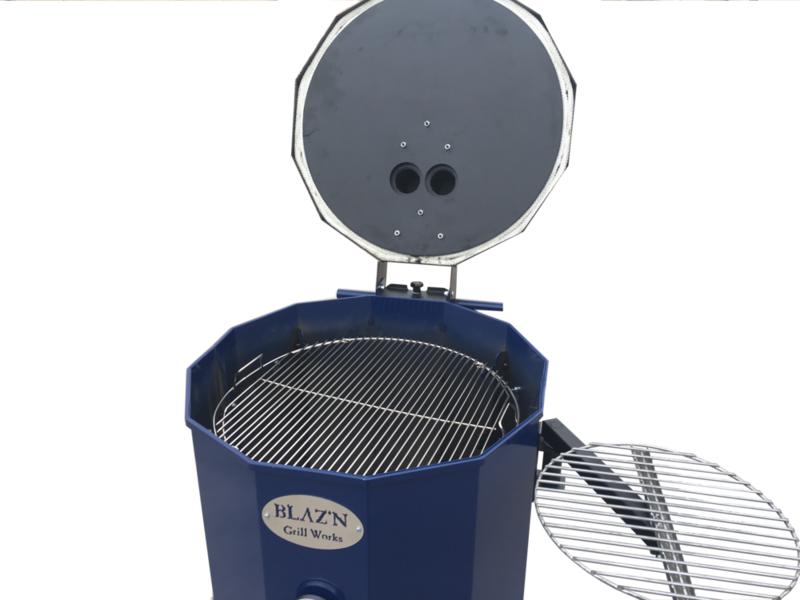 Blaz’n 1 features a large wood/charcoal basket, cleanout tray and an insulated, and a double-walled lid complete with gasket ensuring a seal. Give Tim a call for more information!